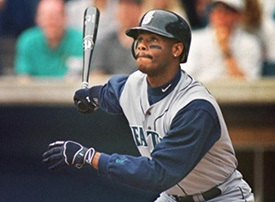 Ken Griffey Jr.: What’s he Doing Now? Ever since his retirement from professional baseball in June 2010, Ken Griffey Jr. has seldom made appearances in public. He did eulogize Dave Niehaus – the Mariners announcer, but has few other pronouncements post retirement. At the moment, he is a special consultant in the front office of the Mariners. 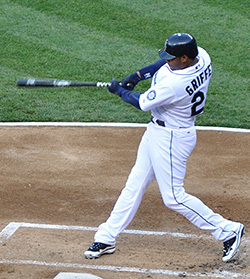 Since February 2011, Griffey has been involved with the club's regular season as well as spring training. He also visits many minor-league affiliates of the Mariners. After retiring from baseball, Ken enjoyed the summer in Orlando as he couldn't afford that luxury during his playing days owing to tours with his teams. He watched Trey – his son play high school football, and Taryn – his daughter play AAU basketball. He also coached Tevin – his youngest son's junior football team. Until his call-up to the Mariners' front office, Ken spent time with his wife, being a good husband as well as a great dad, as his sons like to point out. As a matter of fact, Ken is still very interested in Trey's football games. He hires a cameraman who records the game on tape so that Ken can watch his son play whenever he is on the road. But when he has the time, Ken can be spotted in the stands and often on the sidelines when his eldest son is on the pitch playing high school football. Trey says that he hoped to become a baseball player during his younger years, but his dad convinced him to pick the sport he really loved and would want to play for as many years as possible. As such, Trey picked football when he was eleven years old and credits Ken for making him realize his own potential instead of having him follow in his footsteps. As for Ken's wife, Melissa, she says that her husband is a real catch and spends as much time with his family as he can. She says that the man still gets noticed when they're out. He often takes the kids to their respective games. According to his son, Trey, Ken is always ready to drive down to the various locations of his kids' events if he is in town. Griffey on several occasions has said that he is very proud of his son for choosing his own identity and following his dreams. He says that his son is named "Trey" and not "George Kenneth Griffey Jr. the Third" for the same reason. But if Trey manages to become a successful football player in the future, he says that his dad will have had played a major role in his overall and sporting development. Trey revealed that since his dad retired, he is there more often than not, whether it's at his football games, Tevin's junior league football games, or Taryn's basketball games. It's what he enjoys doing when he's not at the Mariners' front office or travelling to meet affiliates. Apart from an important backroom staff member for the ball club he lives most, Ken is also a great dad!